Reluctance to embrace new technologies is hurting retail firms, report claims. The retail industry’s digital transformation journey is being hindered by a lack of understanding of the latest technologies. A new report from IDC sponsored by Cornerstone OnDemand found that one of the biggest challenges retail companies are facing today is putting people and new technologies in the same sentence. The report states that HR pros meet with retail managers at least 15 times a year for ‘recruitment purposes’. 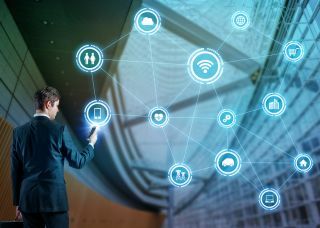 “To undergo a digital transformation journey, it is critical for HR and management to build a solid relationship not just for recruitment, but to align overall business strategy,” the report said. Almost a third (31 per cent) of respondents claim HR pros don’t understand the corporate strategy, with recruiting and career planning being their most important goals. Another conclusion in the same report says the retail industry is ‘leading in internal operations’. Retail managers often experience more freedom that those in other industries.